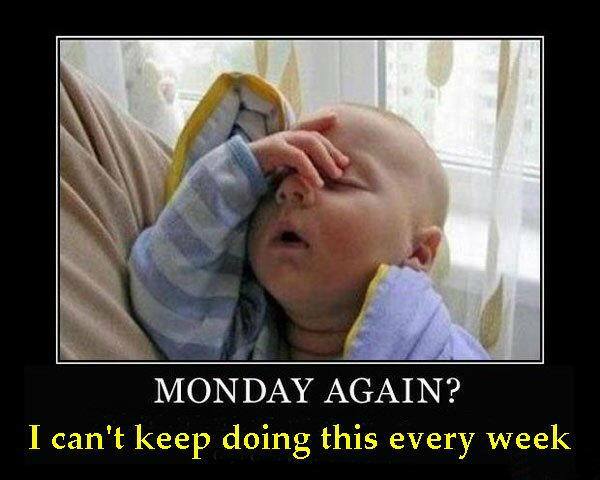 Yes, it’s Monday again. This darn day just keeps showing up whether I turn the calendar page or not. That said, things are not quite as crazy as they have been the past couple of Mondays. Of course, Mr. HEd may not be liking me so much when he opens his inbox today. Yesterday, I sent off the synopsis and first three chapters of Red Dirt Royalty #3 – FOR THE LOVE OF A COWGIRL, the six page synopsis for RDR#4 – LAST COWGIRL STANDING, blurbs for numbers 5 and 6 – MIDNIGHT COWGIRL and THE COWGIRL WAY, plus a pitch for a new series I can’t quite talk about yet. I will say that I’m loving the characters in LOVE A COWGIRL. Clay, the oldest Barron son and a US Senator, is showing more depth than I thought he’d have at this stage in his story and Georgie Dryfus, his heroine might think she’s the mousy librarian type but she has a wicked sarcastic bent–especially when aimed at herself. I LOVED writing the chapter in her POV. In other Red Dirt news, I have the typeset copy for COWGIRLS DON’T CRY. This is close to the final stage before it goes to printing. I’m still waiting to reveal the cover copy and I’m so blasted excited I can barely contain it! I. Love. It! I’ve filled out the art sheets for THE COWGIRL’S LITTLE SECRET, book #2 and it’s on track for a spring, 2015 release. Which is a huge YAY! Reading: I’m still reading contest entries so not at liberty to discuss, though one really caught my eye and I’ll be reviewing it even if it doesn’t win. I also downloaded a book titled KING’S by Mimi Jean Pamfiloff for free and gave up and paid for the second book. I think it’s a trilogy, it’s dark, there’s a trace of magic, King is mysterious, and reviewers have compared it to DARKFEVER by Karen Marie Moning, which I haven’t read it yet. It’s on my Kindle. Just…time–and fear of getting sucked into another series. If you are looking for something offbeat and dark but still with some possible romance, you might check it out. Writing: This week, barring any unforeseen problems (unlike LAST week! ), I plan to get back to work on BLUE MOON, the next Moonstruck book. Yes, I hear the cheering. What are y’all gonna do when I run out of Wolves? With any luck at all, I’ll have BLUE out early in the fall. After that, we’ll just see which set of characters demand the most attention. So what about y’all? How was your weekend? This entry was posted in Writing Life and tagged books, characters, family, follow up, herding cats, lolpic, Monday, TV, writing. Bookmark the permalink. We’ve had some nice showings at the old house, had a repeat visit a young couple so we will keep our fingers crossed. Had dinner with my uncle and his partner Friday night for my b-day and he made me the family fave cake which takes a lot of work and his health is not good, that made it more special. Was semi productive*pats self on back*this weekend. Read Heather-Killough Walden “Warrior Angel” book 4 on the tablet, treated me to a Barnes and Noble visit Sat forget it was tax free weekend, so parking lots were crazy! Heat is miserable, I will be glad for cooler temps. And yes, I’m cheering for the next Moonstruck. When you finish, I’ll just read whatever you come up with next. Try reloading if it still shows italics. Yes, much happier with my quiet house. Love the kids and Sprout but I’m old and crotchety, especially when I have deadlines. 😀 You’re like in my top five fans, B.E.! Karin Tabke and I had a conversation about you, BTW…. Oh dog, should I worry that you guys are talking about me? I’ve been stalking… err, I mean following Karin since like ’06 – when she was doing those awesome first line contests. She totally rocks. Again, you make my head spin with everything you do. You are amazing! And I totally get wanting your space back even though you love them. But that’s what family should do. Help each other. You’re a good mom and g-ma. Okay, Outlander…where do I even start???? I re-read the book in anticipation of this series and *sighs* Jamie is perfect! I pictured him a lil bit bigger than on tv, but other than that, YAYS! I read this back in 1991 when it came out and have read it several times since. I haven’t read the entire series (to book 4 I think) but I think I will buy book two. This book inspired me to write my first….a time travel. haha! Been sick since Fri, still am, so no words but hoping for some later today or tomorrow. I’m so close to done ya know. Dang, Ash! Is it The Thing(tm), or something else going around? I’m sorry, hon. Hope you’re much better today and the words flow! I’ve got to get back to work. It’s the Thing. Severe head pain-didn’t work yesterday. Still here today, but I’m gonna just push through. Been too long since I’ve worked on my characters. Ahh you are too sweet. But I finished that baby today! Woo-hoo! I’ve edited about half, then I’ll send to my best friend line editor. 😊 happy happy! And talking to some peeps about a cover. Yay! I was at AAD in Charlotte pretty much all last week. After recovering from motion sickness from driving through the mountains on Tuesday, I had a really great time with friends and authors. I watched Outlander before I left town and enjoyed it, but since I had never read the books, nor do I plan on it, I didn’t get all the hype. I’ll watch other episodes if they show up on Encore each week, since I don’t have Starz. I did like the guy playing Jamie, tho I wish they had introduced all the characters by name, which I guess I could have missed. Nope. You didn’t miss introductions. 😛 You’ll just have to pick them up along the way like Claire is having to do. I think it’s a plot device, like having the Scots speak Gaelic with no subtitles–to give the viewer the same sense of alienation and “outsider” feeling she has. I loved the series but then I’d watch for the music alone. I’m sure the hype is more from the rabid fans–sort of like an In Death series (for me, you, and some others) or Black Dagger series (for you) would create frenzy. I’ll be right there come Saturday night!